Shai M. Rozen, M.D., earned his medical degree at the Tel Aviv University Sackler School of Medicine. He completed separate residencies in first general surgery and then plastic surgery at Johns Hopkins Hospital in Baltimore. He then received advanced training in craniofacial surgery through a fellowship at the International Craniofacial Institute, followed by extensive training in peripheral nerve surgery through a fellowship at Johns Hopkins. He joined the UT Southwestern faculty in 2007. At UT Southwestern, he has co-created with colleagues from otolaryngology and neurosurgery a specialty group treating patients with facial paralysis. In addition, he treats patients with significant facial deformities and breast cancer patients in need of breast reconstruction using microsurgical techniques. He also treats a unique group of patients with pain situations stemming from nerve injuries. His cosmetic specialization is in the areas he performs reconstruction – the face, eyes, nose, ears, and breast. He is currently the Director of the Microsurgery and Breast Fellowship, Director of the Facial Reanimation Program, Co-Director of the Adult Craniofacial Fellowship, Director of Clinical Research, and Director of the Medical Student Specialty rotation and courses. Dr. Rozen is board certified in plastic surgery and is a Diplomate of the American Board of Plastic Surgery and the American Board of Surgery, as well as a Fellow in the American College of Surgeons. Dr. Rozen speaks both nationally and internationally and has given more than 200 talks on various aspects of plastic and reconstructive surgery. He is involved in funded clinical research, often involving multiple specialties with colleagues from across the U.S. and abroad, and he tremendously enjoys his role as educator of future surgeons. Dr. Rozen was included in D Magazine's Best Doctors list for 2018. Dr. Rozen was born in Israel and lives in Dallas. When not treating patients, he enjoys scuba diving, target shooting, and traveling in the U.S. and abroad, developing new relationships with colleagues from different countries. 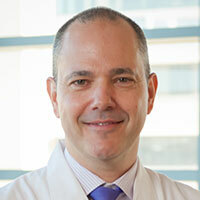 Shai M. Rozen, M.D., is a Professor of Plastic and Reconstructive Surgery at UT Southwestern, where he also serves as Director of the Microsurgery and Breast Fellowship, the Facial Reanimation Program, and Clinical Research and as Co-Director of the Adult Craniofacial Fellowship. He is a board-certified plastic and reconstructive surgeon specializing in complex reconstructive procedures of the face and breast, cosmetic surgery of the face, and peripheral nerve surgery. “The principles of both reconstructive and cosmetic surgery go hand in hand and greatly benefit my patients. I apply aesthetic principles in all of my reconstructive patients and perform cosmetic surgery in areas of the body in which I perform complex reconstruction,” Dr. Rozen says. Dr. Rozen has trained extensively in craniofacial reconstruction and microsurgery, enabling him to address both bony and soft tissue problems in the face. As Director and founder of the Facial Reanimation Program at UT Southwestern, he works with colleagues from otolaryngology, neurosurgery, neurology, and physical medicine and rehabilitation, to address in one clinical and multidisciplinary setting the complex problem of patients with paralyzed faces. Dr. Rozen is also an expert at treating complex reconstructive challenges surrounding the eye. “Recently, in close collaboration with my colleague Dr. Jeremy Bartley from the Department of Ophthalmology, we started treating patients who suffer from limited sensation in the cornea,” Dr. Rozen says. In addition, Dr. Rozen treats common eye problems associated with facial paralysis, including lagophthalmos, which is the inability to completey close the upper eyelid, and lower-eyelid malposition. Dr. Rozen has developed and published an aesthetic approach involving the insertion of weights to improve these conditions. “When seen early enough after paralysis begins, we can actually restore some of the motion, voluntary closure, and sometimes synchronicity of eyelid closure, using specific nerve and muscle techniques,” Dr. Rozen says. In his breast reconstruction practice, Dr. Rozen performs complex procedures that involve the free tissue transfer from certain areas in the body, mostly the abdomen, to recreate the breast without the use of expanders or implants if the patients prefer or have no other options. He works closely with breast surgical oncologists, providing expedient care for patients in a team atmosphere. In addition, a portion of his reconstructive practice involves peripheral nerve surgery and treatment of complex pain issues stemming from nerve injuries throughout the body. In his cosmetic surgery practice, Dr. Rozen specializes in working on the face and breast. “First of all, I tremendously enjoy working on the face. Second, my facial reconstructive practice enables me to work comfortably and safely in all aspects of facial cosmetic procedures. When needed, I apply my reconstructive experience in surgery of the face, eyelids, and nose to address cosmetic issues often encountered in patients with aesthetic facial concerns,” he says. Very involved in research, Dr. Rozen is the principal investigator for several large-scale studies and has received several prestigious awards and grants for his work. He collaborates in research with colleagues worldwide and regularly presents both nationally and internationally as a guest speaker and course director at global conferences. Primary Investigator (PI) - Diabetic Neuropathy Nerve Decompression Study 2008-2013, Served as PI for a controlled, randomized, double-blinded, prospective study on the role of surgical decompression of lower extremity nerves for the treatment of patients with symptomatic diabetic neuropathy with chronic nerve compression. The David Crowley Foundation and the National Institutes of Health provided financial support. Primary Investigator (PI) 2008-2013, Served as PI of a pilot study on the effect of Collagenese Santyl(R) ointment on healing and scarring of dermatome wounds. Healthpoint, Ltd. sponsored the study. Melanoma and decorative tattoos: is a black sentinel lymph node unequivocally metastatic? Giant plexiform neurofibroma of the back. Management strategies for pyoderma gangrenosum: case studies and review of literature. Two cases of pseudoaneurysm of the renal artery following laparoscopic partial nephrectomy for renal cell carcinoma: CT angiographic evaluation. Unilateral cleft lip approach and technique. Case report: full-thickness forehead burn over indwelling titanium hardware resulting from an aberrant intraoperative electrocautery circuit.